Here is the example of a ECOLINES bus ticket. Carefully examine its content as there is important information about your journey. 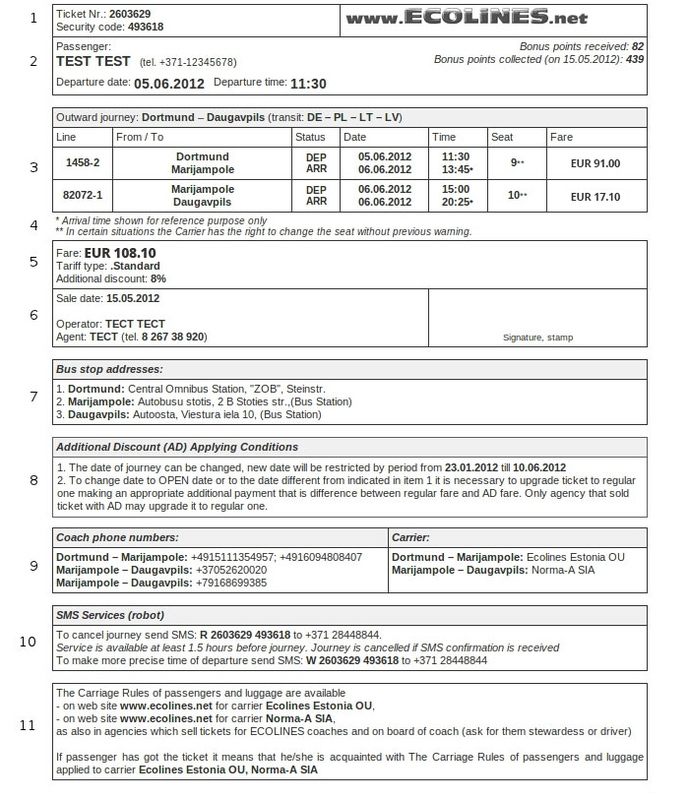 By printing out ticket unassisted from website or receiving your ticket in agency, make sure it is printed out in the language which you understand the best. At the moment tickets are available in 8 languages - RU, LV, EN, DE, PL, EST, LT, and BG. If you have any questions do not hesitate to contact with ECOLINES offices.